Selling your house and moving home can be a stressful process at the best of times. It can quickly turn from an incredibly exciting time to a harrowing one, especially when time is of the essence. It is possible, however, to reduce stress during the process. One way to do this is to ensure you get a quick sale. So what are the most important factors that will get you a quick, asking-price sale? Perhaps recently cleaned & maintained gutters and roofs will make a difference. A well-kept garden. A freshly decorated interior will be a big help. But what about the carpets, do you leave them, clean them or replace them? 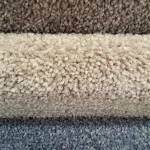 Most people are inclined to keep their existing carpets, rather than replacing them, when trying to sell their home. If your carpets are in great condition, then it would probably be sensible to keep them and perhaps just ensure they are cleaned. However, be sure to take the style and colours of your carpets into consideration. If they are very bright and bold, it could help your house sell by replacing them with more neutral colours. Most new owners would be happy with neutral colours and wouldn’t be concerned about needing to replace them. Read any lifestyle blog, and you will find countless ideas to help sell your house quicker when the buyers arrive. A clean, tidy, uncluttered house goes without saying. The aroma of freshly ground coffee beans gurgling away in your percolator, or homemade bread baking in the oven may help. Place family photos in the living room, and put a few vases of fresh flowers on the windowsill. All these little additions are designed to make your home as appealing as possible to a prospective buyer, but can sometimes have little bearing on achievable price. From an estate agents viewpoint, neutral colours on walls, ceilings and floors can be the two most important factors if you want to get to your ideal selling price as quickly as possible. While green patterned carpets, blue walls and yellow furniture may be your colour style of choice, buyers will be working out how much it will cost to redecorate and re-carpet the property to suit their own preferences and furniture. Once they go down that road, be prepared to take a big hit on your asking price. Even if you’ve recently re-carpeted your home in a pattern you’ve been looking hard and long for, be prepared to bite the bullet. For achieving maximum price on your house sale, plain neutral is the way to go. Whether you clean the carpets yourself or get them professionally valeted is a matter of choice (and the state of the carpets! ), but it’s an important task which should be considered either way. Even after you’ve done a little shaking and vacuuming, the look of your carpets will often be spoilt by the indentations from heavy furniture sitting in the same place over a long period of time. Professionally cleaned carpets using industrial cleaners and equipment, will often lift the pile and give your carpets a nearly new appearance. Perfect for selling your home. If you have pattern styled carpets, it will pay you to shell out and get them replaced with neutral coloured carpets. If you already have neutral carpets and you are confident cleaning (home or professional) will give them a new lease of life, stick with them. Sometimes you have to speculate to accumulate. Why risk a prospective buyer offering you five or ten thousand pounds less for your home, when spending a few hundred pounds on cleaning, or some more on new carpets, will help you achieve your asking price. Be sure to give Millwill Furnishers a call via 01733 553 565 if you have any questions or queries. You can also send us a message using our online contact form.